Ante-bellum res. of Robert Mable (1803-1885). July 3, 1864, Maj. Gen. F.P. 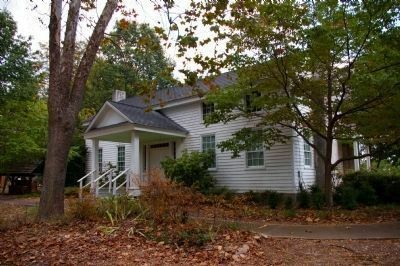 Blair's 17th A.C., of McPherson's Army of the Tenn. [US], having marched from Kennesaw Mtn., via Sandtown rd., reached Moss' house (near Floyd Station), 1.2 mi. 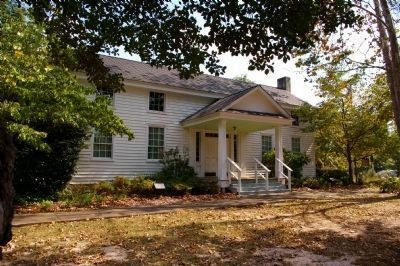 N. 2 P.M. Gresham's 4th div., 17th A.C., moved with 15th A.C. troops to points S. of the Mitchell house (below Mableton), to threaten river crossings at left-rear of Johnston's Smyrna line [CS]. At dark, Gresham's troops withdrew N. to the Mable plantation, which afforded an ample supply of water, & camped here for the night. Walter Q. Gresham was Secretary of State in President Cleveland's Cabinet, 1893-1895.
. Touch for map. 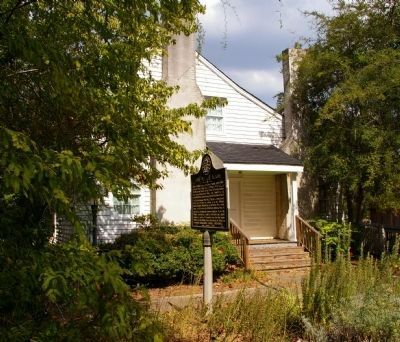 Marker is at or near this postal address: 5239 Floyd Road, Mableton GA 30126, United States of America. Touch for directions. Other nearby markers. At least 8 other markers are within 2 miles of this marker, measured as the crow flies. Turner's, Howell's Baker's & Sandtown Ferries (approx. 0.7 miles away); Toward the River (approx. one mile away); The Mitchell House (approx. 1.1 miles away); The Extended Right (approx. 1.3 miles away); The March to Soap Creek (approx. 1.3 miles away); Advance of the 17th A.C. Toward the River (approx. 1.3 miles away); Site: Wm. Moss House (approx. 1.3 miles away); “The Only Advantage of the Day” (approx. 1.3 miles away). Touch for a list and map of all markers in Mableton. 3. 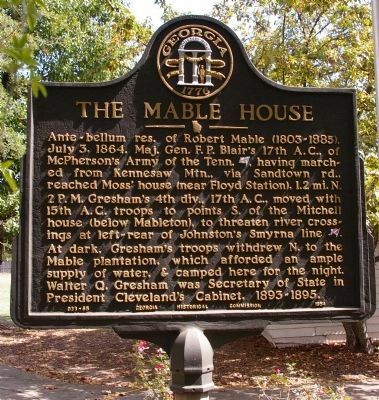 The Mable House. The marker is barely visible to the right. More. Search the internet for The Mable House. Credits. This page was last revised on June 16, 2016. This page originally submitted on October 4, 2008, by David Seibert of Sandy Springs, Georgia. This page has been viewed 1,567 times since then and 14 times this year. Photos: 1, 2, 3, 4, 5. submitted on October 4, 2008, by David Seibert of Sandy Springs, Georgia. • Craig Swain was the editor who published this page.